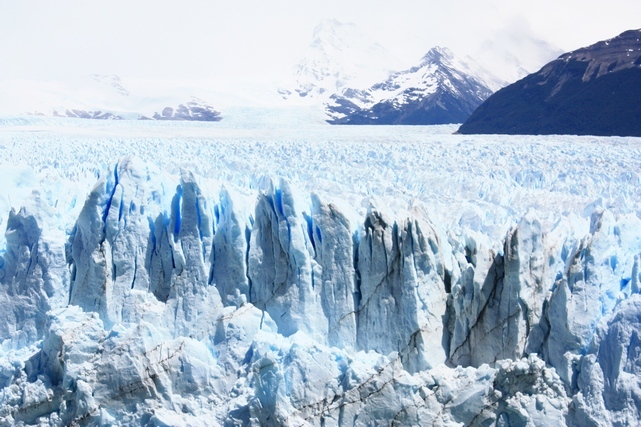 Perito Moreno glaciar contains tremendous mass of ice, that cover an area of 257 km2. If to compare, you can place Kremlin (Moscow) more than 900 times there. 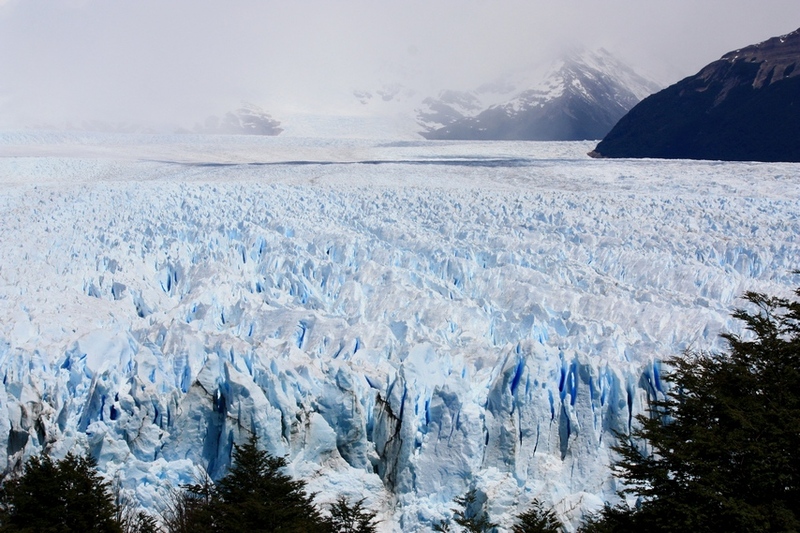 Indeed, its not the largest glaciers within Los Glaciares National Park. 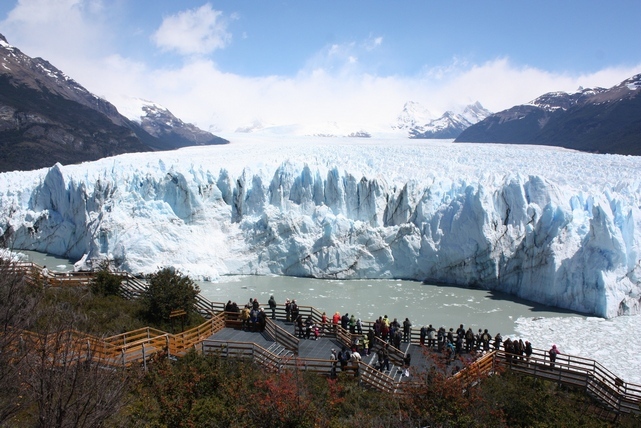 Upsala with its 870 km2 beats Perito Moreno, but not in touristic interest. 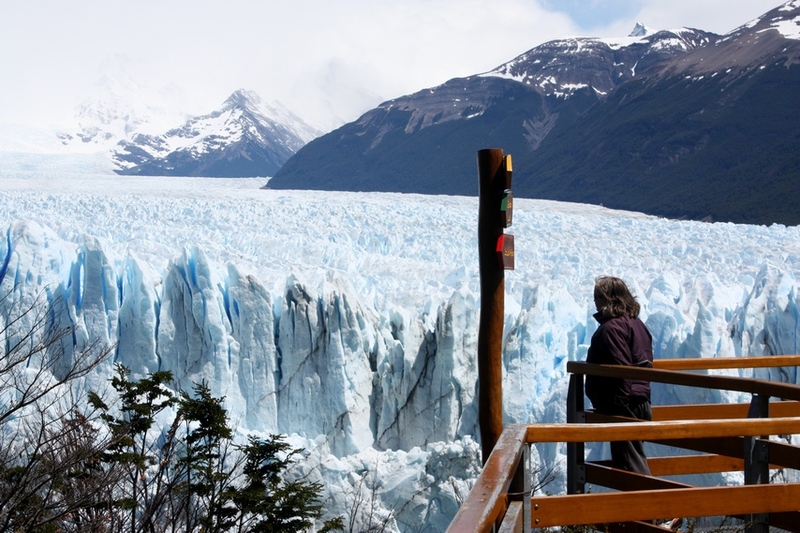 Perito Moreno was named after the explorer Francisco Moreno, who, in fact, was not able to see the glacier himself, even being close to it. 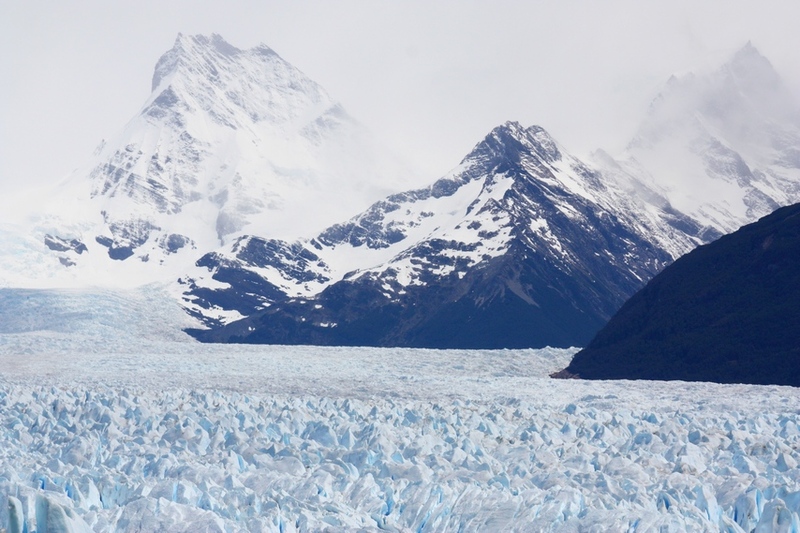 The pioneer who had studied Patagonia in the 19th century got a nickname “perito”, which mean “specialist”. It happened when was asked to judge border problems between Argentine and Chile. 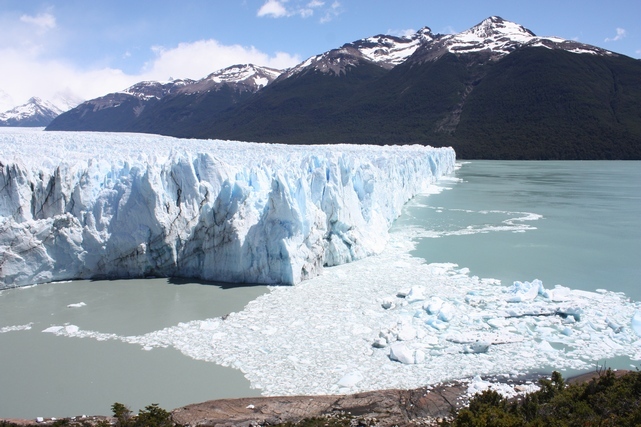 Both countries put an eye on Perito Moreno glacier, situated in-between. In accordance with agreement, signed in 1881, border line was determined by “the highest peaks that devided waters”. But the problem was that the line of the highest peaks did not concide with the line dividing ocean waters. In 1896 countries decided to end the dispute with help of an expert. As you guessed, it was Argentinian Francisco Moreno, who defended the territory of Argentina in the conflict. 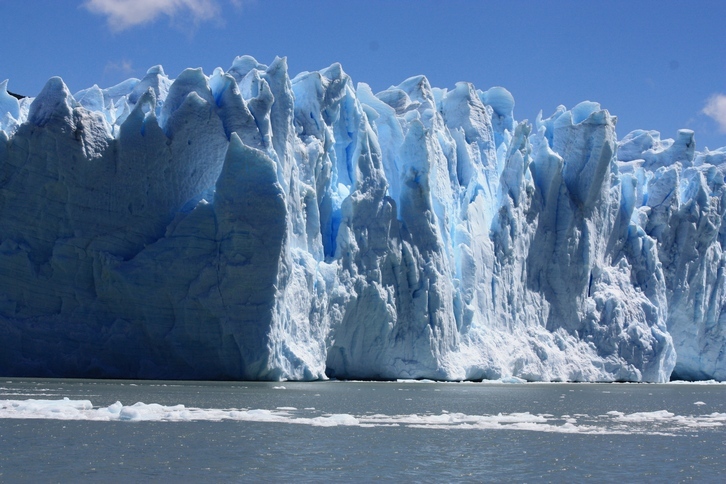 “Huge!” The first what comes to my mind when I face the wall of Perito Moreno. 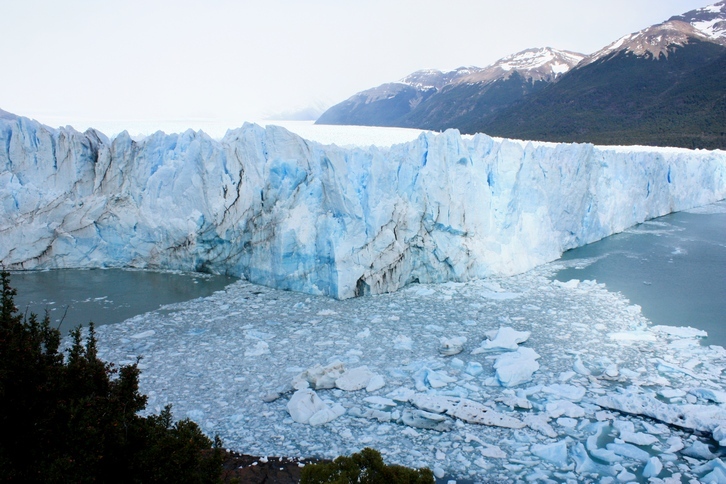 It rises up to 74 m. Impressive huge wall of ice. 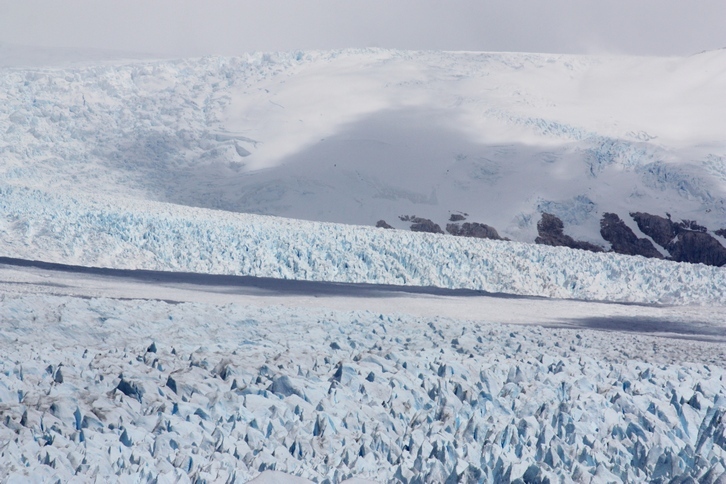 But the biggest part of the glacier – 170 m – is hiden from our eyes under the surface. 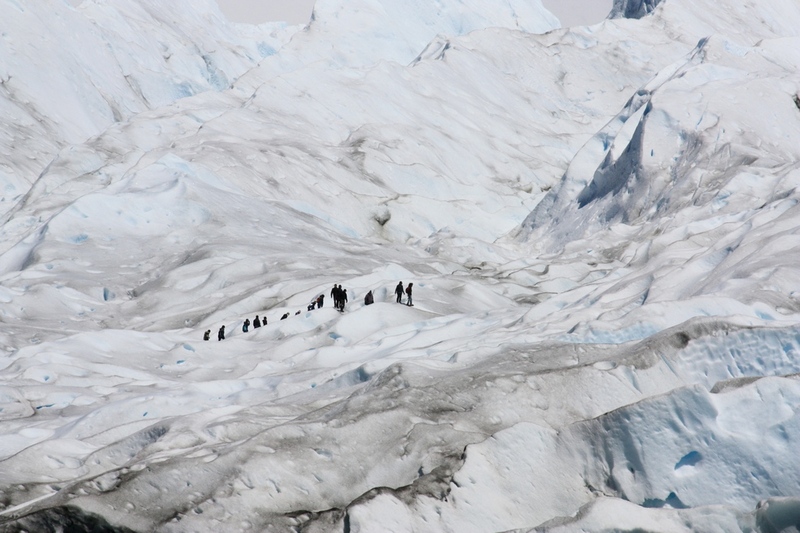 Only the tiny part of 30 km long glacier is visiable to people. But this tiny part looms like a white skyscraper, contained ice mass that is 500-1000 years old. And when a slice of chilly wall collapses, it seems like a part of history crush, falling to azure waters. The distinctive loud sound break the silent. I can look at this frozen oceanic wall for ages. But it is too cold. I guess it doesn’t matter what season you choose (in my case it is summer in Southern Hemispere) – raw wind cools you down anyway. It reminds you that Antarctica is not as far. 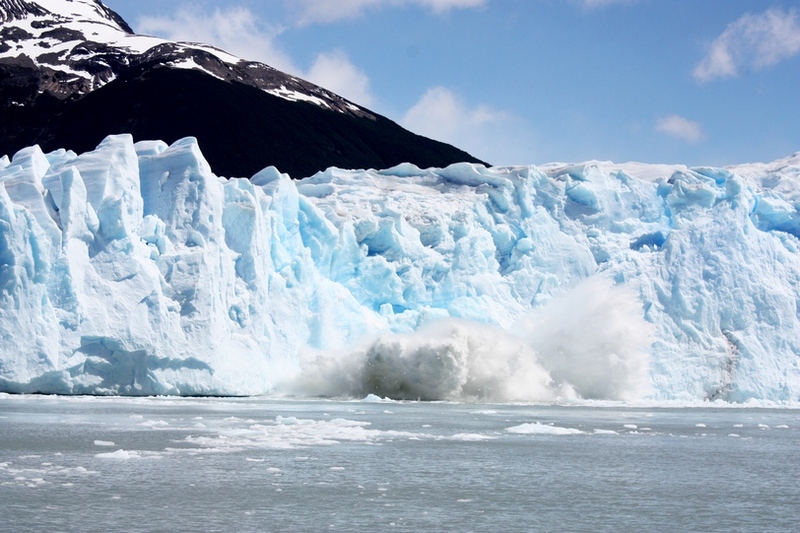 One of the reasons why Perito Moreno gain its fame is due to its bluish color. 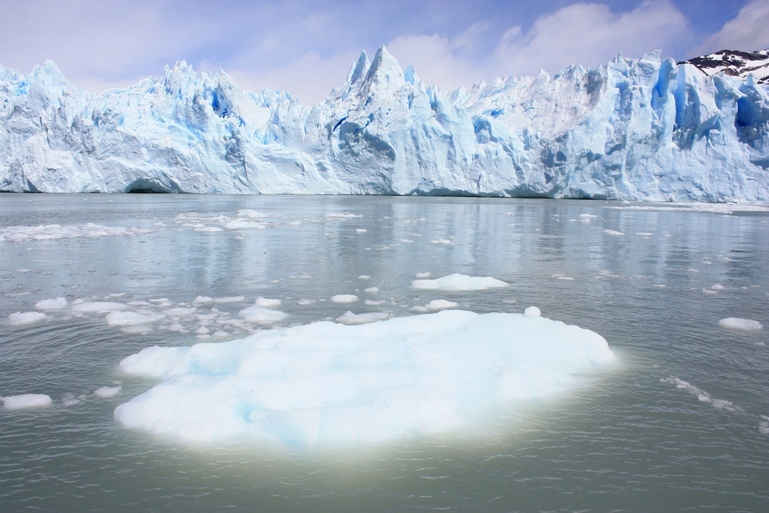 It is created thanks to structure of ice and wavelengths. The more compact the ice, the longer the path that light has to travel, so the bluer the ice appears. You can notice blue veins through white surface anytime, even in cloudy day. When it is overcast the color cary from navy blue to indigo. When it is sunny, the ice shines from cyan to aquamarine shade. The landscape offers all shades of blue on dominated white background. 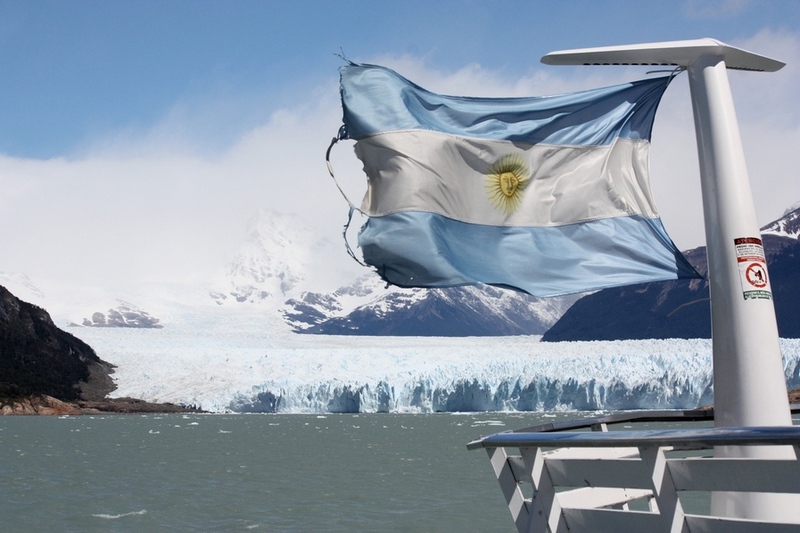 Now I can’t think of anything else, but Patagonia, when I look at Argentinian flag. Only sun is missing.